Established in 1989 by Graham Seng, Chinchilla Tank Centre is a manufacturer of high quality, innovative and reliable products. Situated on the Warrego Highway in Chinchilla, the company manufactures all products on site, with no outsourcing. Approximately 20 staff are employed, all of whom are local to the Chinchilla area. Company core values consist of honesty, efficiency and good old fashioned personalised service. Chinchilla Tank Centre continues to stand by these in every aspect of the business. Clark Tanks is the country’s premier brand of polymer rainwater tanks and farm products. Manufacturing since 1997, Clark Tanks are designed and built to last in tough Australian conditions. Clark Tanks have been in the industry longer than most and are a recognised and trusted Australian brand in the country. As an Australian owned and operated company, Clark Tanks is committed to providing quality products designed to meet the needs of rural and residential Australia. International Animal Health Products market and manufacture quality Australian owned and Australian made products. We have a range of solutions for cattle, horses, pigs and poultry as well as a probiotic suitable for all animals and birds. We aim to improve the overall growth, health and well-being of your animals through our product solutions. Our product solutions include feed additives, medications, probiotics, vitamins, minerals, vitamins and minerals, feed additives, first aid, wormers and anti-parasitic products, rehydration and diuretics, shampoos, first aid, tack care and grooming products, blood and muscle solutions, hoof-care, coat conditioning and scour control. Shoof International Ltd is a developer, manufacturer, importer, marketer and exporter of agricultural and veterinary equipment. 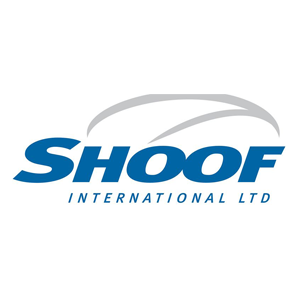 Shoof is constantly searching world markets to find new and innovative products for the Australian, New Zealand and Chilean animal breeding and veterinary industries. Offers of new products for our range will be welcomed. Shoof is also continually developing new and innovative animal breeding products to export to the world. With offices and warehouses in Melbourne and Brisbane, Shoof is committed to making our unique range of products available to breeders of all animals in all rural areas of Australia. If you would like your own free copy of our Farmer’s Catalogue please respond in our ‘Request Catalogue’ section above. Otherwise you can peruse our full range of products in our ‘Farmer’s Catalogue’ section. We suggest you then contact your usual rural-supplies store for the product you require. Australian Agriculture is stamped with the iconic brands ‘Warwick Cattle Crush’ and ‘Starkbilt’. These are inspirational brands… from a quiet achiever that has its roots back to 1967 and 1917 respectively. Supplying all the major production entities in the cattle and small crop industries from Kununurra to Werribee, Darwin to Davenport… even overseas to New Zealand, South East Asia and the UK, Stark Engineering are the innovators of many industry changing innovations and holders of patents for concepts that will revolutionise your life and operations. Everything Stark Engineering does is measured, managed and maintained so that you can do one thing well… Be productive! So if you’re looking for innovative and reliable cattle handling equipment the brand to remember is Warwick Cattle Crush Company. If you want salad with that, think Starkbilt. These are the brands that have been quietly achieving and building this great land for decades, approaching centuries! Zoetis (zô-EH-tis) is the leading animal health company, dedicated to supporting its customers and their businesses. Building on more than 75 years of experience in animal health, Zoetis discovers, develops, manufactures and markets veterinary vaccines and medicines, complemented by diagnostic products and genetic tests and supported by a range of services. In 2014, the company generated annual revenue of $4.8 billion. With approximately 10,000 employees worldwide at the beginning of 2015, Zoetis serves veterinarians, livestock producers and people who raise and care for farm and companion animals with sales of its products in 120 countries.